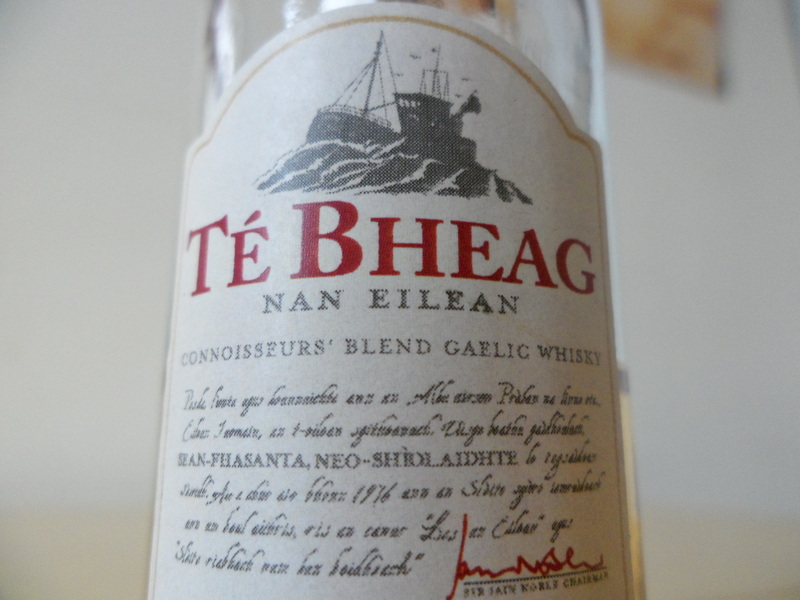 A friend of mine was given a small miniature of a Gaelic whisky named Té Bheag (40%), or ‘the little lady’, and I with a traditional name like that, I was intrigued to try it! A blended Scotch from the West Coast (with more than double the malt content of most standard blends), it contains mixes from Islay, Island, Highland and Speyside malts aged from 8 – 11 years. A slight peaty aroma hits the nose first, but a smooth blend of malt and sherry mix well and continue onto the palate. A smoky wood flavour comes through that dances with a fresh kick of liquorice and toffee. A soft finish with a small peaty after-taste. 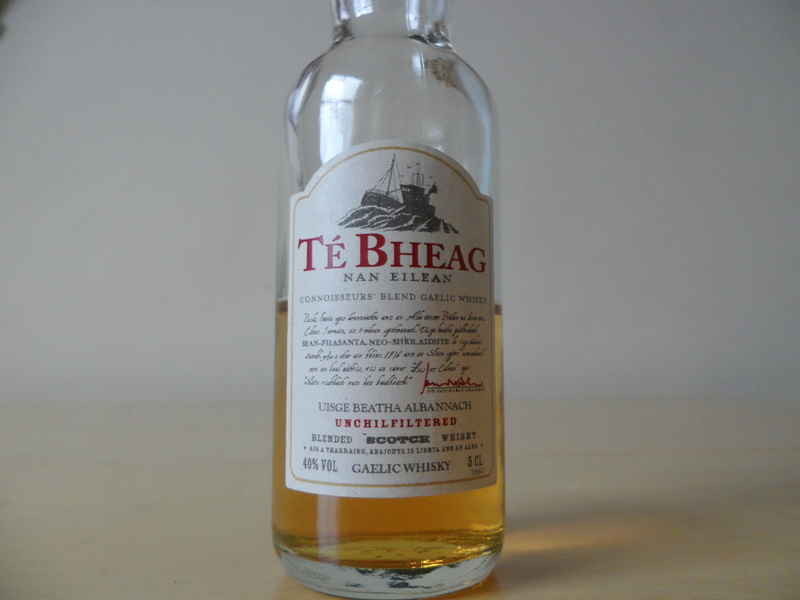 The Té Bheag was the winner of the gold medal in the 2009 International Wine & Spirit Competition, Gold Label in the International Spirits Challenge Competition in 1997 and a Gold Medal from Selectione Mondiale in 1998. I have to admit it isn’t my favourite blend and I’m not too much of a fan when it comes to peaty whisky, but it’s a mix that I wouldn’t turn down if it was offered to me. Give it a try!